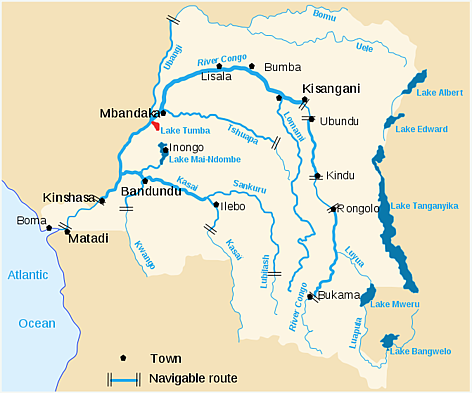 The Lake Tele–Lake Tumba landscape covers 126,440km², shared between the DRC and the Republic of Congo. It is made up mainly of marshes, seasonally flooded forests and meadows. It is home to the largest Ramsar freshwater wetland of international importance. The forest of Lake Tele–Lake Tumba is world’s largest swamp forest and world’s second largest wetland area. 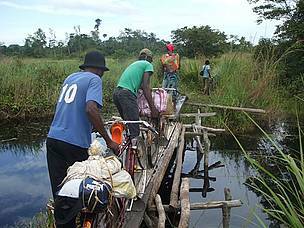 Some 2 million people depend on the landscape’s water, forests and swamps. The area also plays a role in controlling climate change and provides a source of hydropower. Habitats consist of open watercourses, forests, forest-savannah mosaics, wetlands and swamp forests. 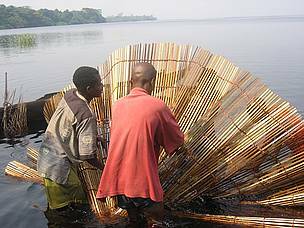 Locals working on Lac Tumba - a part of the worlds largest protected freshwater site. Give local people more control over their natural resources by participating in the decentralization process and natural resource management.